A yard full of mature trees is often a feature in a home that is desired. However, tree roots can present a danger to your sewer lines. Tree roots are attracted towards sewer lines because they hold water, nutrients, and oxygen. These are all components that help the growth of trees, so it’s understandable that the roots seek them out. As soon as a pipe starts leaking water or sewage, tree roots will be drawn to those pipes, exacerbating the damage. Tree roots can cause clogs, backed up plumbing, and even costly broken sewer lines. One way to prevent these problems is by controlling the tree roots by using one of these three techniques. 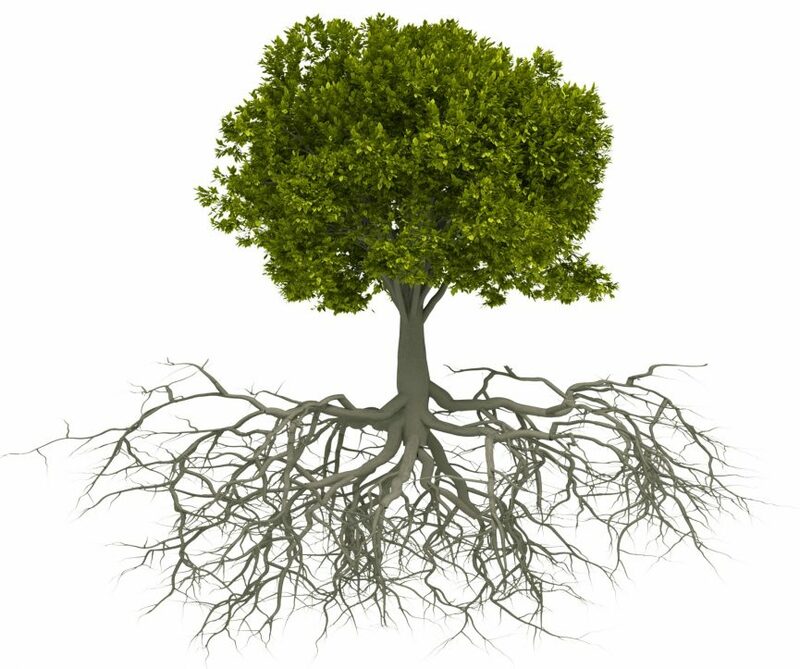 The easiest and perhaps the best method of root control is to simply plant trees with some distance away from sewer and field lines. Before planting, locate sewer lines and plant trees at least ten feet from any sewer line. Of course, this method can only be used when building a new home or during new landscaping. For homes with trees and large shrubs already in place, it is typically too late to use the cultural method. Once tree roots have grown into pipes, they must be removed manually by plumbing professionals. There are two approaches for manual removal—the traditional and the trenchless sewer line methods. The traditional repair method affects large parts of your yard as you dig trenches to access the pipes. The trenchless method is less invasive and usually avoids major excavation. With trenchless methods, a plumbing technician can inspect the pipes using an extendable camera, and then places a liner into any broken pipes, filling them with resin, and letting the resin set. This replacement pipe is then free from tree roots. Once tree roots have grown into pipes, you can take further mechanical steps to clear your pipes. This can also help to disrupt further tree root growth. Professional root removal technicians can use cutters and augurs to clear pipes of debris, including tree roots. Scrappers and brushes can also be pulled through pipes with a wench. Hydro jetting is another option, which uses powerful forced water to clear out the pipes. 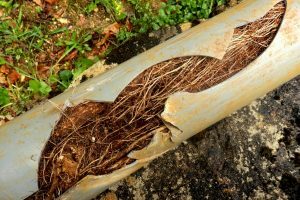 If invasive tree roots have infiltrated your sewer lines, you need to address the situation quickly to avoid bigger problems such as broken pipes and a damaged sewage system. Further damage can lead to the need for sewer repair and replacement, which can be quite disruptive and costly. However, if necessary, professional plumbers can use conventional or trenchless methods for pipe replacement. When you notice ongoing sewage problems in your home, such as backed up drains that do not respond to plunging, it could be a sign of tree roots affecting the sewer lines. Tree root infiltrations respond best to early treatment, so contact a professional plumber to quickly evaluate and correct the issue to avoid costly repairs.